Do you know that those innocent looking photos or music files can have secret information inside it? Do you want to send secret message to your friends that none can understand other than you and your friend? 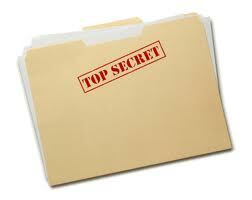 Yes, it is possible to hide secret messages or files inside photos or audio files. ‘SilentEye’ is the utility which you need to do this. ‘SilentEye’ uses steganography algorithm and cryptography technique to hide secret information inside images and audio files. Secret messages and files can be hidden inside image file or sound file using SilentEye. First Download SilentEye software and install it. It is a freeware and available for all operating systems – Windows, Mac OS X and Linux. Start SilentEye then drag and drop the image or sound file inside which you want to hide a message or file. This software supports images in .jpeg and .bmp formats and sound file should me in .wav format. Click on the ‘Encode’ icon to open the encode window. In the next window type the hidden message or browse and select the file which you want to hide inside the photo or audio file. You can select the output image format (.jpeg or .bmp) from this window. Click ‘Encode‘ button once you have written the secret message or added the file. Now this software will start the encryption process and save the modified image or sound file. Now send the modified photo or sound file to anyone. It is not possible to read the secret information without using SilentEye. So to decode the image or sound file start ‘SilentEye’ and drag and drop the file there. This time hit ‘Decode’ button to read the hidden message or file. If you know any other way to hide message and files inside photo, please let us know by leaving comments. Vibin, thanks for your suggestion 🙂 ,I think I should try some lighter theme.